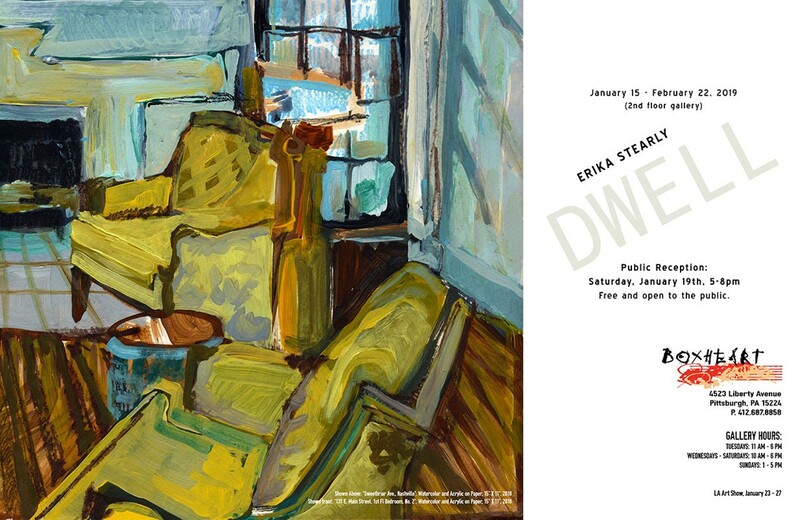 From January 15th to February 22nd, BoxHeart Gallery is proud to present Erika Stearly: Dwell on exhibit in our 2nd-floor gallery. Erika Stearly: Dwell invites viewers to experience the nostalgia of visiting their hometown. The exhibition includes a passage selected from Killing Yourself to Live by Chuck Klosterman to further connect the formal concerns of Stearly's paintings with the viewer's memories.